The Eastern Cape is strikingly varied in it's scenic beauty. It's landscape ranges from pristine forest to arid desert, from looming sandstone cliffs to unspoilt emerald green coastline. 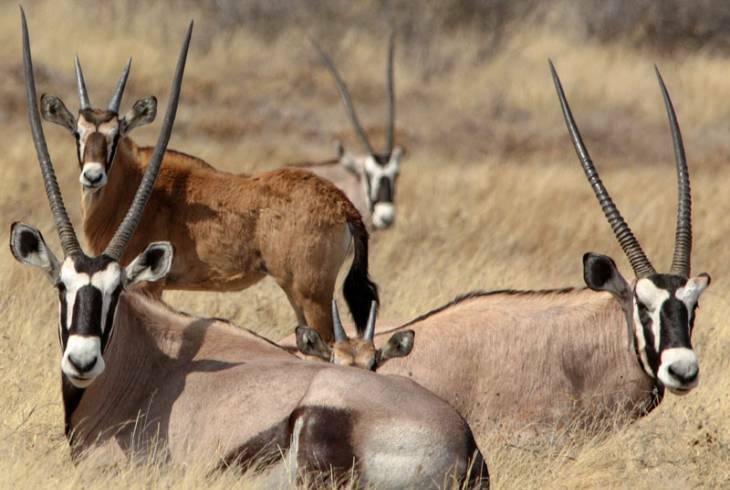 The national parks and game reserves are home to a wealth of wildlife including the rare mountain zebra. Over 200 elephants inhabit the Addo Elephant Park and most unusual, are the signs erected in the park entreating visitors to yield to the flightless dung beetle found almost exclusively in Addo. In addition, the black rhino, buffalo, eland and warthog have been reintroduced to the park. There are various hiking trails that traverse the valleys and cliffs of the mountainous regions with breathtaking views. The Eastern Cape also has some of the finest displays of prehistoric art in the form of rock paintings. The magnificent shimmering coastline offers splendid opportunities for fishing, swimming and sunbathing. Canoeing, rubber ducking and windsurfing are a few of the many water sport attractions while surfers, in search of the perfect wave, frequent the internationally known surfing spots. The cities, known for their friendliness, are ideal for family holidays - beaches, restaurants, theatres, cinemas, museums and summer entertainment programmes are sure winners to make the holiday-maker's stay an enjoyable one. Eastern Cape Accommodation and Information.